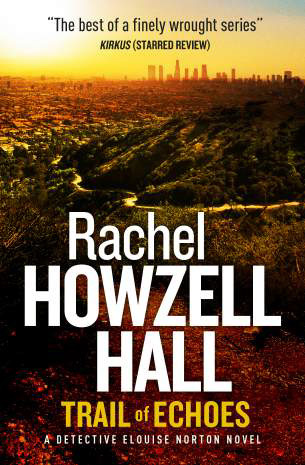 The press blurb for this book likened it to the writing of Kathy Reichs, whose Bones series (which, incidentally, is nothing like the TV series apart from the name and occupation of the main character) I really enjoy as "for fun" reading. So, knowing I was going to have some time while away on a trip, I picked this up as an alternative. For me, apart from the fact it was a murder mystery with a main female character, I could see little similarity to Kathy Reichs' work but that's not to say it wasn't an enjoyable book. The characters, especially Norton and her detective partner Colin Taggert had a great dynamic and were easy to empathise with, it was well written with good descriptions, interesting locations and the story was the kind of one you expect from holiday reads so I wasn't disappointed. There were three main issues with the book for me though. Firstly I like my police procedurals to be more about the crime-solving than the detectives and I am not interested in the characters' private lives, especially when it has nothing to do with the case. Although Elouise's childhood memories of the area in LA known as The Jungle, and her "escape" from that life were relevant to the case and added to my understanding of her character interactions and the plot, I found her current homelife with Syeeda and Lena and her lovelife with ADA Sam Seward, read more like a chicklit novel that a character building tool. This was distracting (I don't enjoy chicklit) and, in the case of Norton's father, completely irrelevant. His inclusion added nothing to her character or to the plot so, unless it's to introduce the character for a later book in the series, I'm not really sure why he was there. Secondly the characters and dialogue, especially with the people in The Jungle, seemed to me to be quite stereotyped, although I understand that the author lives in LA so that may be how it is. I have never been to that city and I only know of LA, and American inner city life in general, through films and TV. If that's really how it is then great, every action film and TV show I've ever seem about American gang culture has got it spot on, but it seemed a bit generic for me. The last thing for me is that I found the plot itself was a bit obvious with no real surprises and nothing new being brought to the table. It may be because I've read a LOT of these types of books and I know what to look for and what to expect but I'd decided on the real killer as soon as the character was introduced and the subsequent misdirection was so obvious that it did nothing to change my mind or cast doubt. Again, that's not to say I didn't enjoy Trail of Echoes, it was a great, non-taxing read for a trip away. The story held my interest to the end of the book and I could pick up the plot again easily when I had five minutes to read. So it is what it is, a light relaxing murder mystery in the LA sunshine, just don't expect anything out of leftfield.